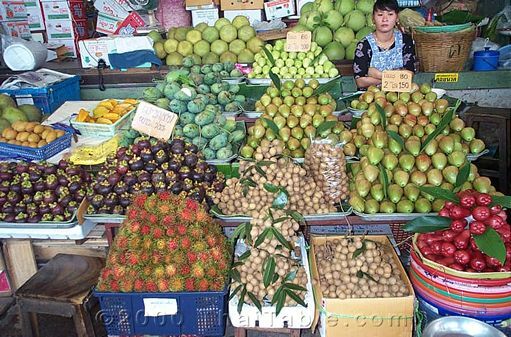 In Thailand, you have a choice of assorted fruit or dessert at the end of the meal. The assorted fruit that are available at restaurants are the year round fruit like, papaya, guava and pineapple and the fruit that are seasonal. Fruits are also eaten as snack.